Have you ever had what seemed like a big meal, only to feel hungry again an hour later? This all too common phenomenon can be both aggravating and inconvenient. You can feel like you just dropped a bunch of money on nothing, even if the meal was delicious. The fact is, some foods merely fill us up, while others actually satisfy us. The key to avoiding that empty feeling after a meal is to pick the right foods. 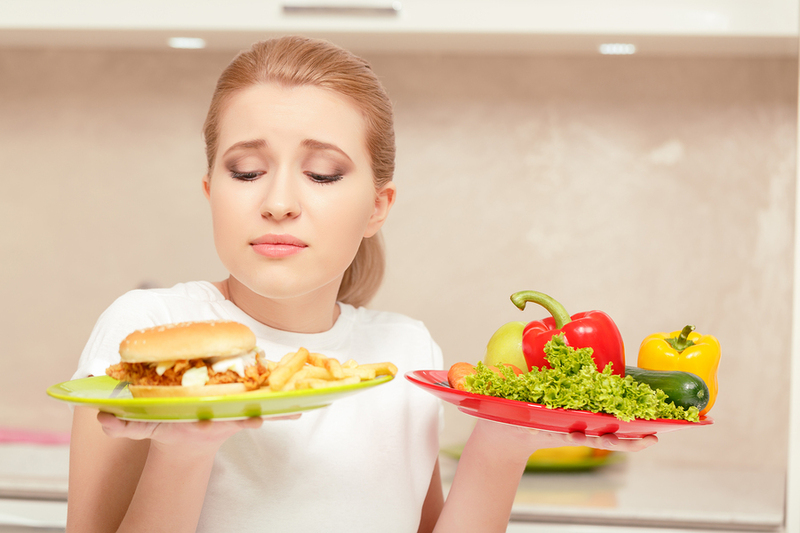 This article will explore why some foods fill you up, why others leaving you starving, and how to pick the right foods for when you want to feel fuller longer. It may seem like calories are the source of the problem, and we will get to that, but first, let’s talk about fiber. This is a huge part of this dilemma that is often overlooked. The amount of fiber a food contains will determine how quickly it digests and affects how long the feeling of satisfaction after eating lasts. Fiber, as the name implies, gives substance and texture to food. It also slows down the digestive process. Fiber also plays a role in promoting hormones which signal the feeling of being full after eating, delaying the return of hunger. The perfect example of this is the difference between juicing fruits and vegetables and blending them. With a blender, the machine’s blades act as a set of high-powered mechanical teeth, effectively “chewing” food for you before you eat it. This reduces the solid fruit and vegetables to a drinkable form, but it leaves the fiber intact. Juicing, on the other hand, extracts the juice of the fruit or vegetable and leaves behind the now empty and flavorless fiber. The juice has little fiber left in it, and as you can imagine, it doesn’t fill you up very much. Juice can also spike your blood sugar more than blended fruits and vegetables, since juice typically contains more sugar by volume than blended items do. If you drink a blended shake instead, it will be more filling, almost like a small meal.